During 2011 I wrote a number of posts for the project called The Art Of Life Magazine – of course talking about my favorite subject, wine. The project closed and even web site is down, but as I still like the posts I wrote, so I decided to re-post them in this blog. Also, in that project, posts were grouped into mini-series, such as “Forgotten Vines” you see here – I will continue re-posting them from time to time. Our first post in the Forgotten Vines series was dedicated to Jerez, a not-so-easy-to-find-but-worth-looking-for fortified wine from Spain. Continuing the series, let’s move a little bit to Spain’s west side neighbor, Portugal. Talking about Portugal’s place on the wine map, what wine comes to mind first? Yes, of course it is Port. And while Port is single most famous Portugal wine, it is not the Port we want to talk about here (don’t worry, Port is squarely positioned in the line of “must-have” experiences, and we will talk about it later). We need to move a bit more down the map in the south-west direction, about 1000 km (600 mi) to the island of Madeira. Madeira wine takes its name from the name of Madeira Island. History of Madeira, which started at around 15th century, is full of accidental discoveries, glory, overcoming of the hardship, raise and fall, and even love – if you are interested in the full story, you should take a look at Madeira Wine web site. In the 15th / 16th centuries, Madeira wine was created and transported in the barrels through the ocean to the far places such as India and China. It was found ( by accident, of course), that long ocean voyage improves the taste of wine compare to the original one which went into the barrel. After many trial and error experiments, it became apparent that prolonged exposure to the warm weather is the culprit, and then the method of heating the wine up to the 60C (140F) was invented. The process of heating up the wine is called Estufagem, and it is done after the wine is fermented in the oak barrels, same as any other wine – again, you can find more details online – you can find less colorful but more technical details on Wikipedia (click here). Just to give you a few more details from Madeira’s history, trade embargoes led to further improving Madeira by adding brandy spirits in order to preserve the wine. Barrels of Madeira left for prolonged time under the rain lead to development of the new style of Madeira wine, called Rainwater. In the 18th century, Madeira was one of the most popular wines in the world, especially in England and United States. Madeira was used to toast United States Declaration of Independence, and was highly regarded as a drink of distinction. Unfortunately, first mildew and then phylloxera epidemic delivered way too powerful one-two punch, which Madeira wine industry was unable to overcome. Madeira subsided to nearly a cooking wine level, and was staying like that for the long time. 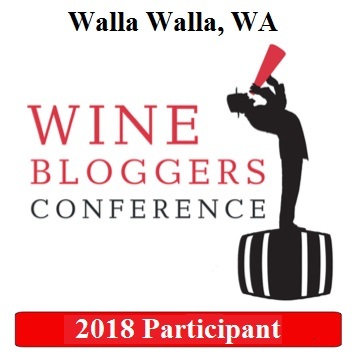 Luckily, overall uptake on the wine industry throughout the world helps to revive Madeira industry, and now it is becoming possible to find a great drinking Madeira even in US – and you will see why. And I have to note that one of the great qualities of Madeira is in the fact that unlike practically any other wine, once you open a bottle of Madeira, it will stay the same more or less indefinitely, due to both Estufagem method and fortification with the spirit. As we say here, time to open a bottle. Madeira comes in many different versions, from completely dry to the sweet. 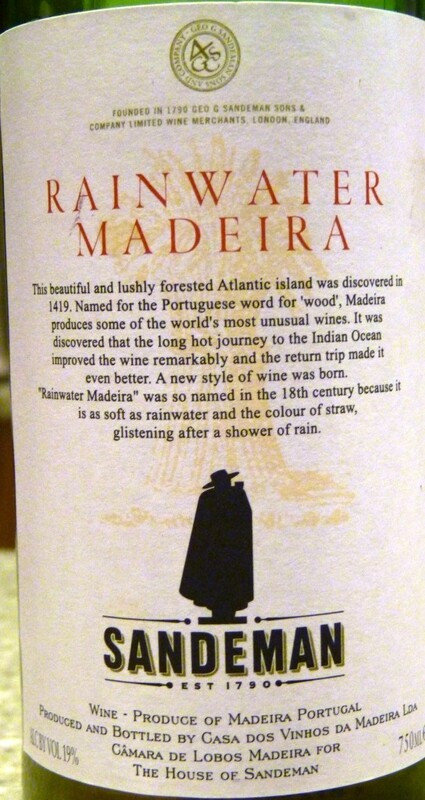 The Rainwater Madeira is somewhat of a simpler style, but still very enjoyable. This Sandeman Rainwater Madeira is deep and heavy on the nose, with hint of aged cheese and sweetness (overripe apple sweetness). On the palate, it shows the same concentration of the sweet notes, which is not really supported by acidity, so the wine comes somewhat unbalanced – however, as a desert wine to have with sharp cheese (like blue cheese, for instance), it will create a heavenly combination. The next wine, Charleston Special Reserve Sercial is few levels up the previous wine. It comes as incredibly complex on the nose – nutty, with hint of sweetness and herbs, lots of herbs. Beautifully balanced on the palate with acidity and sweet delicate flavors of apple blending together perfectly. This Madeira has very long finish and can be used equally well before, during and after dinner – just take your pick. Definitely worth seeking. 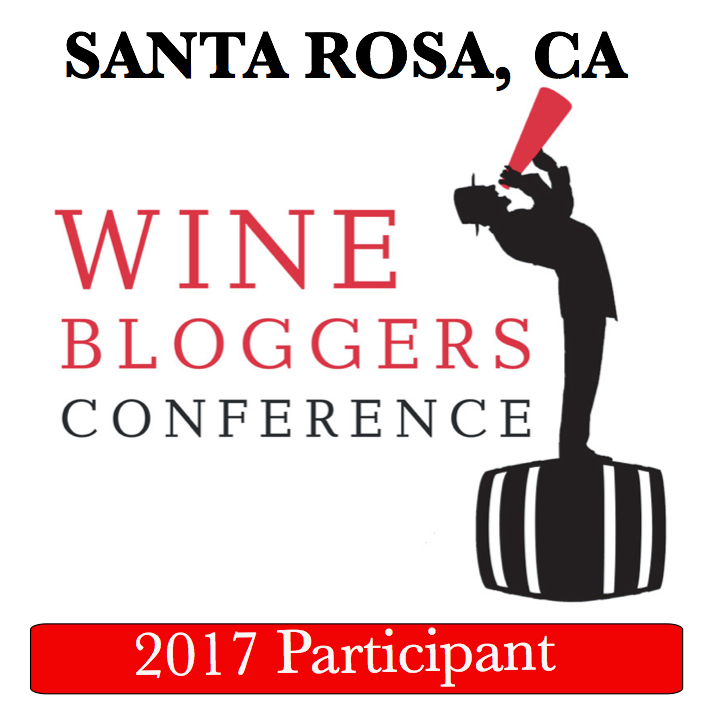 Well, it is a great time to be a wine lover – abundance of experiences just grows daily. Now that you are empowered with the knowledge of Jerez and Madeira, it is time for personal encounter – find the bottle and enjoy it tonight! I don’t think I’ve ever had a wine from Madeira. Recently I tried one from the Canary Islands which are a little bit further south. Will see if I can find one in an Enoteca here. My philosophy teacher in high school/college was from Madeira. He was fabulous. He never served us wine, though…too bad.